You guys, we just had the best weekend! HFR turned two on Saturday, and we had her birthday party at Coco Beans Play Cafe, a local indoor play space that we just love. We did a “Tea for Two” theme since it was her second birthday, so it was all finger foods and tea-inspired goodies. I could not be more over the moon with how her party went, and with how much fun she had. Adam took all of the party photos, so I don’t have those to post yet. 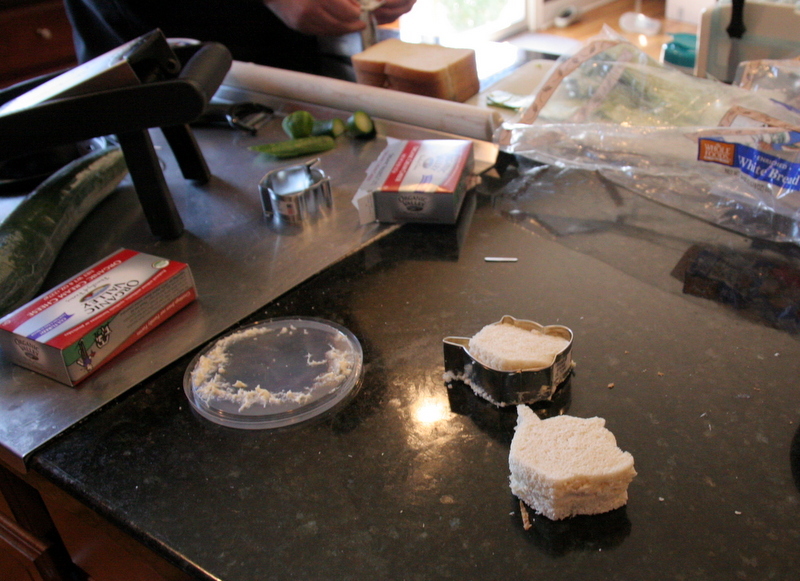 But in the meantime, here is some of the prep that went into the party (we did all the food prep ourselves). I’ll post some of these recipes this week. 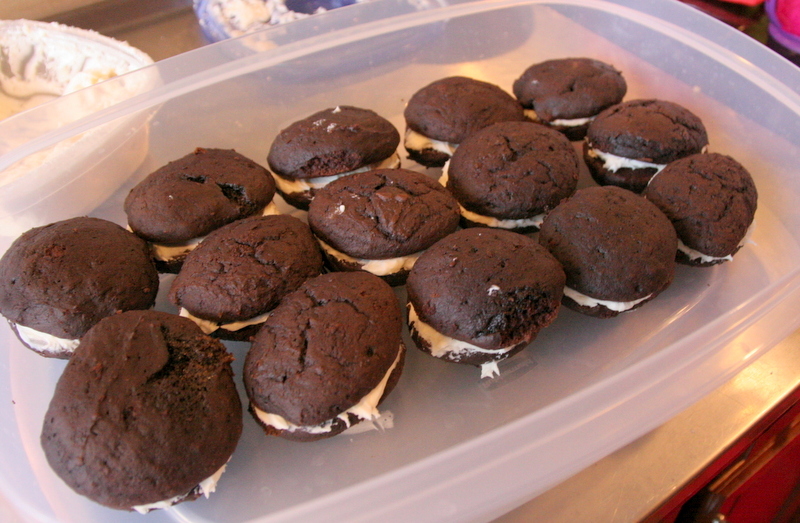 I made more of these sensational whoopie pies. I also made a dozen gluten-free whoopie pies. 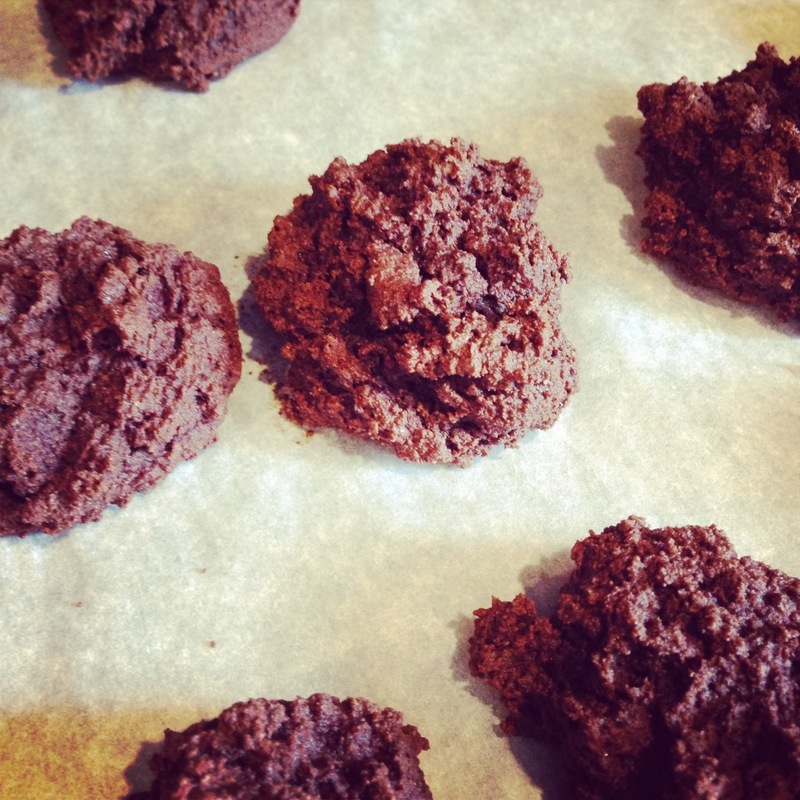 They were much coarser in texture on the outside, but still soft. And a couple of them did get eaten, so I felt like it was worth it. 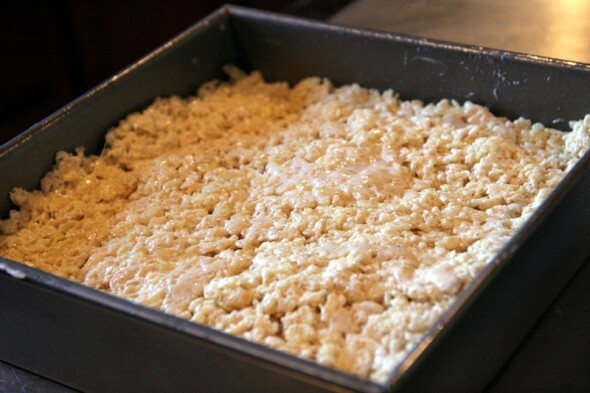 I made Smitten Kitchen’s Brown Butter Rice Krispies treats. They. Are. Glorious. I made homemade playdough in six colors for the favors. I was so excited about the favors; I got white boxes with handles and filled each with 4 colors of homemade dough, these great nonstick child rolling pins, and a teapot cookie cutter to fit the party theme. Not including the cost of the dough, which was just made with ingredients I always have on hand, the favors came in around $3.75 each. I thought that wasn’t bad, and it wasn’t candy or disposable junk. 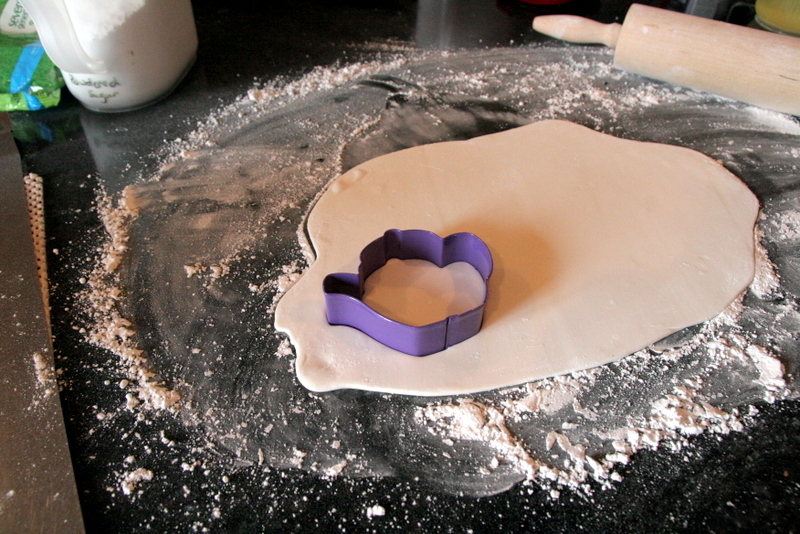 We made three kinds of tea sandwiches and cut them out with our own teapot cookie cutters. Chicken salad, PB&J, and cucumber with cream cheese. Adam helped a ton with sandwich prep the morning of the party, including an emergency run to the store for more supplies. So, of course, we had waaaay more food than we needed at the party. But I don’t like to underfeed people. And then, there was the cake. This was a labor of love, and I could see all the flaws in it, but everyone seemed to love it. I made a two-tier cake; the top tier was 2 shades of yellow (which you could not see at all, note to self for the future). 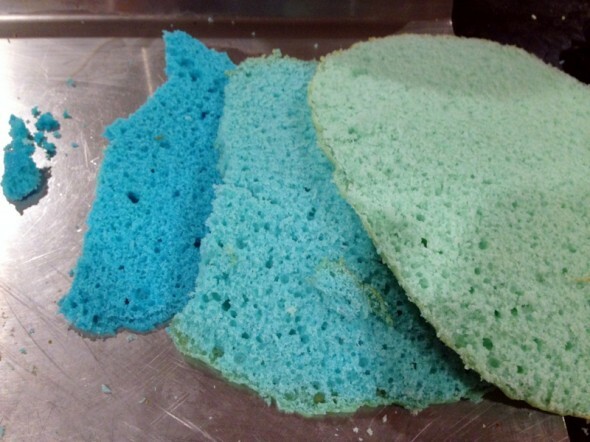 The bottom tier was 3 layers of blue, and that looked amazing. 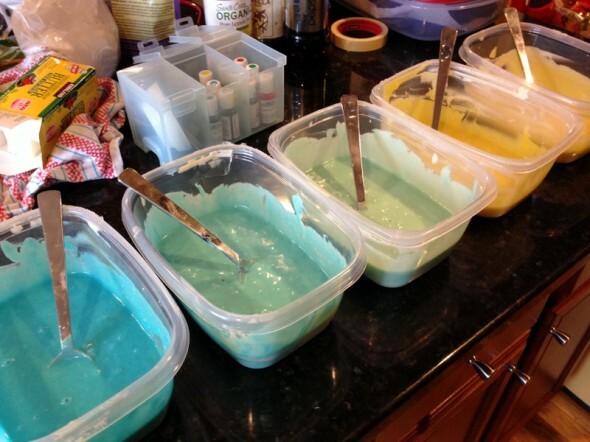 Here are scraps from the blue tier. 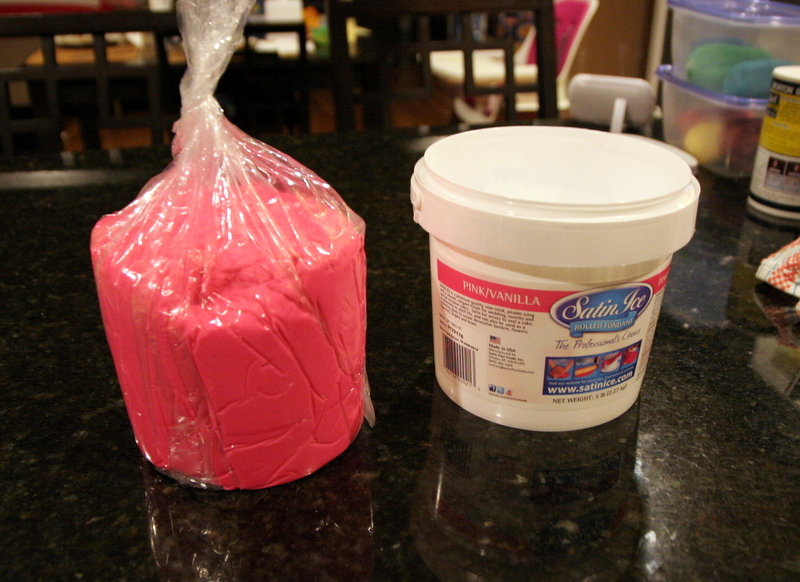 I had originally just planned on making a colorful cake and frosting it with my favorite buttercream, like I did last year. But at the beginning of the month, my sorority alumnae group had our Founders Day event at Blue Sheep Bake Shop. We decorated our cupcakes with this amazing Satin Ice fondant (mine were this same color pink), and I got the crazy idea to try covering a cake in fondant again. 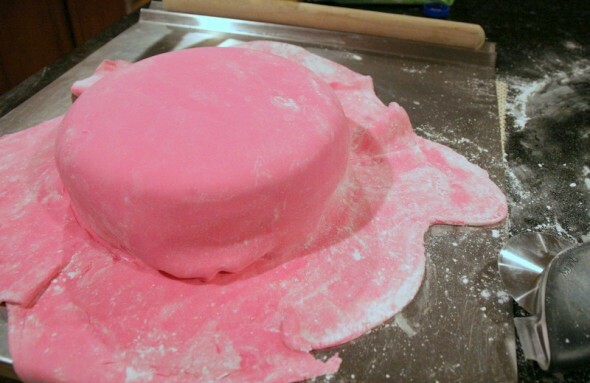 I took that whole Wilton cake course and only tried one fondant cake, so I thought I’d give it another go. 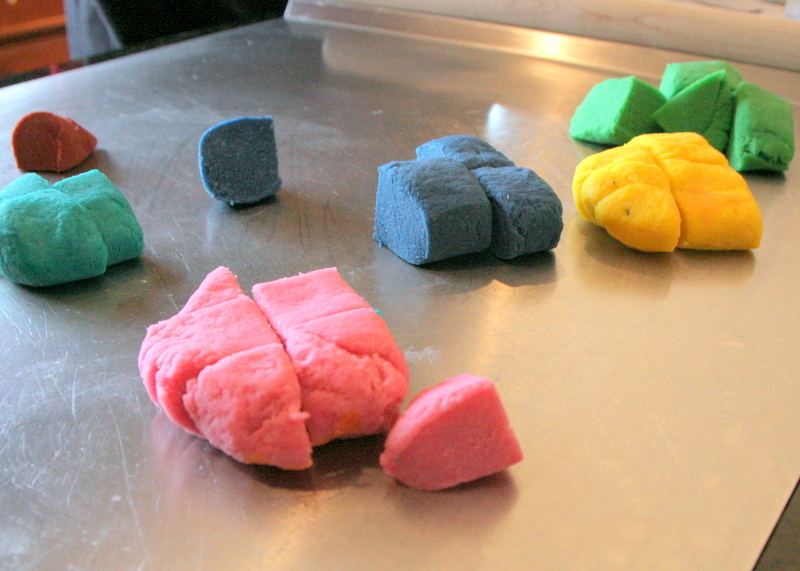 I am still terrible at fondant. And I don’t have any pictures of the finished cake yet, but I do think despite all the lumps and cracks it was still kind of adorable. I even put a white fondant teapot on top. So, more photos of the actual party to come. I cannot believe this little girl is TWO. You threw a wonderful party for the little lady. She was sooooo happy, impromptu dancing in the lobby, big smiles, lovely tiara kept on throughout, showing her guests how happy she was to see them. It was a joy to watch her. And the food table was adorable. I know Adam took some great pictures of it and of the kids.